There are a number of ways that information about your woodlot can be collected. Valuable insight can be gained by looking at maps or aerial photos, while other data must be gathered by walking through the property. This activity is called cruising. A woodlot cruise is not complicated, but by collecting important information about your forest stands, you can gain insight into how your woodlot can be managed. A woodlot cruise is important in determining your resources. The general growth characteristics and ground conditions of each stand is also noted. In more detailed plans, such as those incorporating Forest Ecosystem Classification, soil types and ground vegetation types are also identified. Readily available from six Service Nova Scotia and Municipal Relations offices in the province, aerial photos can provide a unique perspective of your woodlot. The location of roads, swamps, cleared areas and other features can be readily identified on aerial photos. 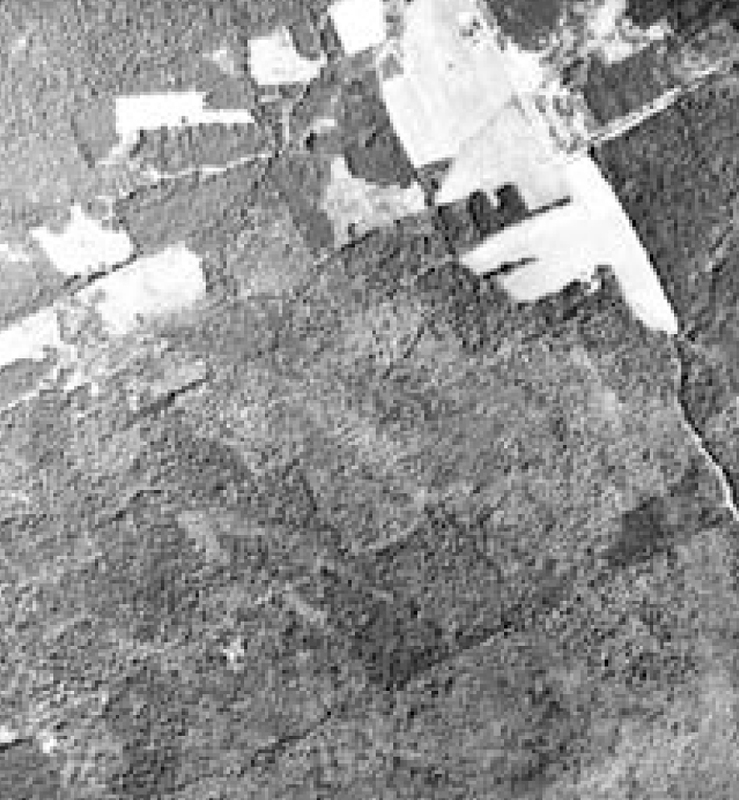 An example of an aerial photo. New aerial photos of most areas of the province are produced about every ten years. In 2007 the scale of aerial photos was decreased from 1:10,000 to 1:12,500. Some areas of the province are still available only in the earlier 1:10,000 scale photography. For forestry use, individual trees can be identified on aerial photos, and skilled photo interpreters can identify tree species and the height and volume of forest stands. Another source of aerial images is Google Earth, which is a free web resource (www.googleearth.com). Although the resolution of Google Earth images is less than that found on provincial aerial photos, the general location of boundary lines, roads, cutovers and other features can often be identified. Google Earth can also give the user a good picture of the surrounding landscape and a “whole earth” perspective. Aerial photos can save time and walking effort, particularly on large woodlots and when travel is limited by deep snow. As reference tools, aerial photos are integral components of a woodlot management plan. Also called a Suunto or hypsometer, this tool is used to measure tree height. Knowing tree height is essential in determining the volume of a tree or forest stand, and in calculating the land’s capability for growing trees. A clinometer works by measuring the angle between the tip and base of a tree when the user is at a fixed distance from the tree. This instrument can also be used for measuring the slope of the ground, which is essential when planning the locations of woodlot roads. 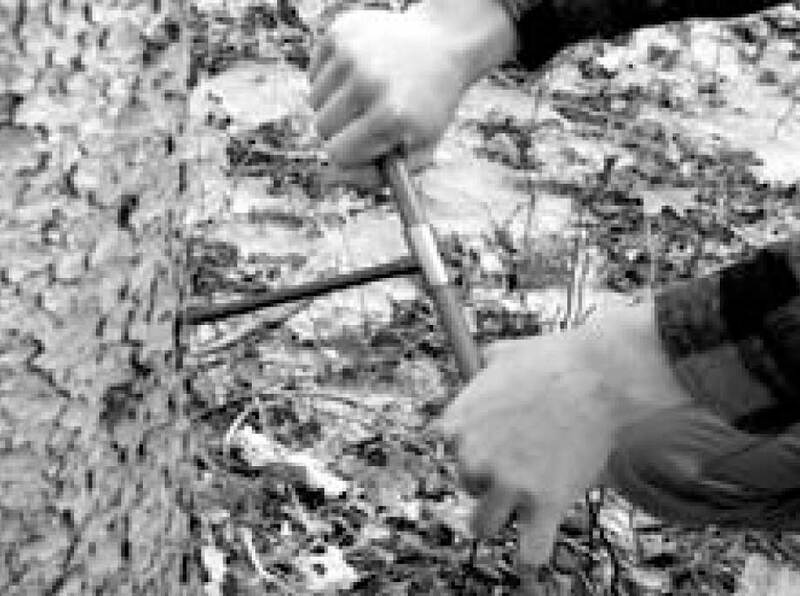 By inserting one end of this hollow tube into a tree and extracting the wooden core, the user can count the cross-sections of the rings and determine the age of a tree. The tree’s rate of growth can also be calculated, and the general health of the tree can be assessed by noting the presence or absence of rot in the core. Similar in appearance to a normal measuring tape, a diameter tape is marked in gradations that, when wrapped around a tree, measures a tree’s diameter. Obtaining tree diameter is important in determining tree volume and for marketing purposes such as measuring sawlogs. Usually taken at 1.3 m (4 ft) above ground level, tree diameter can also be obtained with a set of calipers that are designed for measuring trees. By collecting data on a GPS, the user can easily keep track of his or her location, and can collect the coordinates of individual features such as boundary corners, vernal pools, woodlot roads and trails and other points of interest. Stand areas can also be measured, which greatly assists in job layout and in claiming silviculture funding assistance. On some models of GPS units, maps can be downloaded to them and the accuracy of boundary lines and other features can be checked. 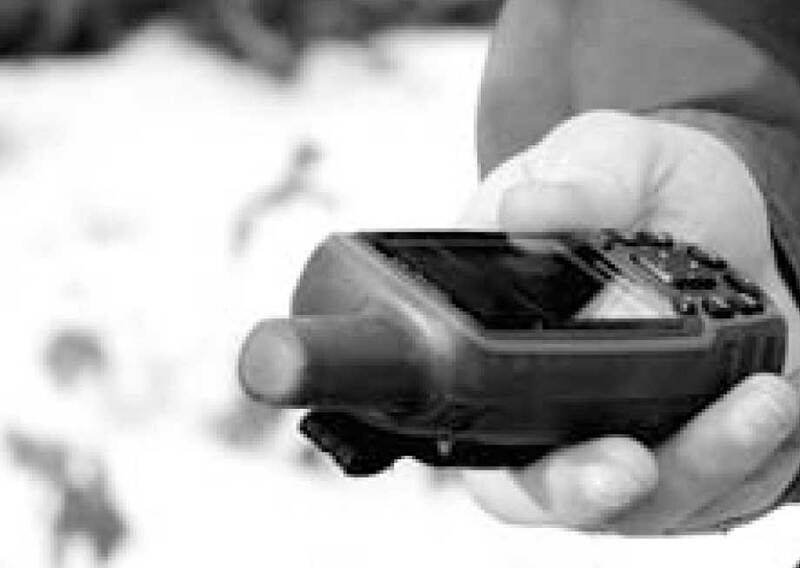 The cost of GPS units can range from a few hundred to several thousand dollars. Information can be transferred from a GPS unit to a computer for mapping and measuring purposes. Constructed of beveled glass, a wedge prism is used to determine the basal area of a stand of trees. The basal area, in turn, can be used to calculate stand volume. Basal area can also be measured with an angle gauge or relascope. 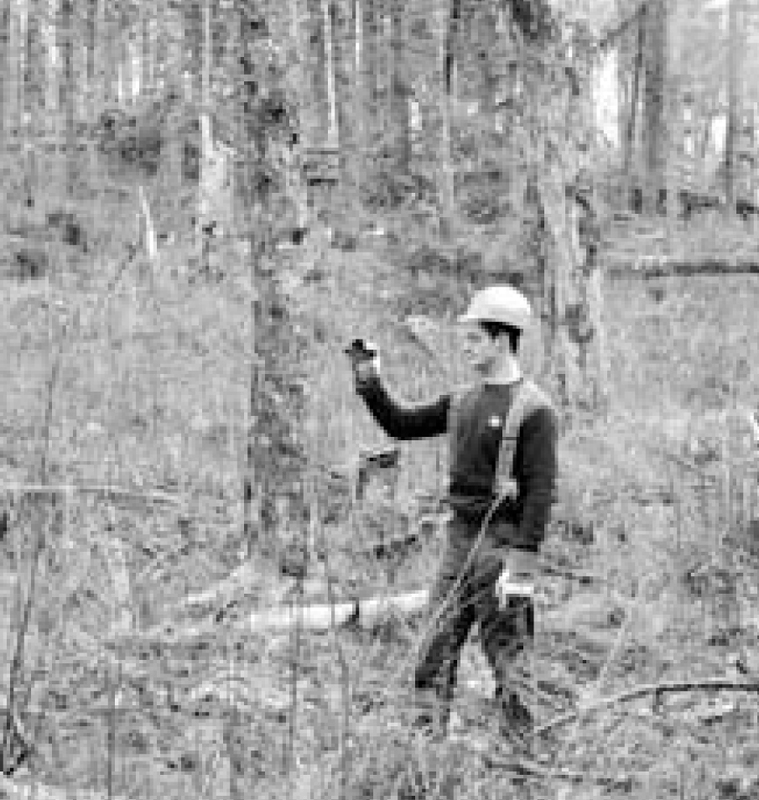 Other tools are used by forest professionals for specialized applications, but the essential instruments are outlined above. 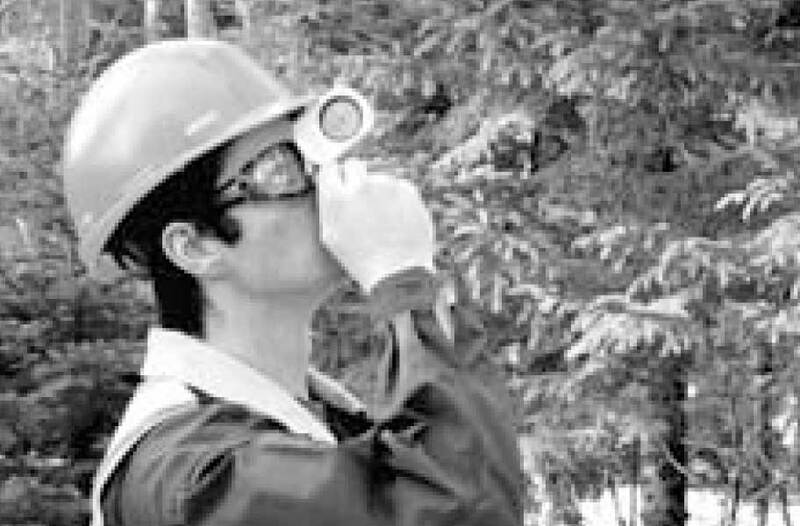 Most forest professionals use a map and compass when first visiting a woodlot, and the ability to use these tools remains vital. 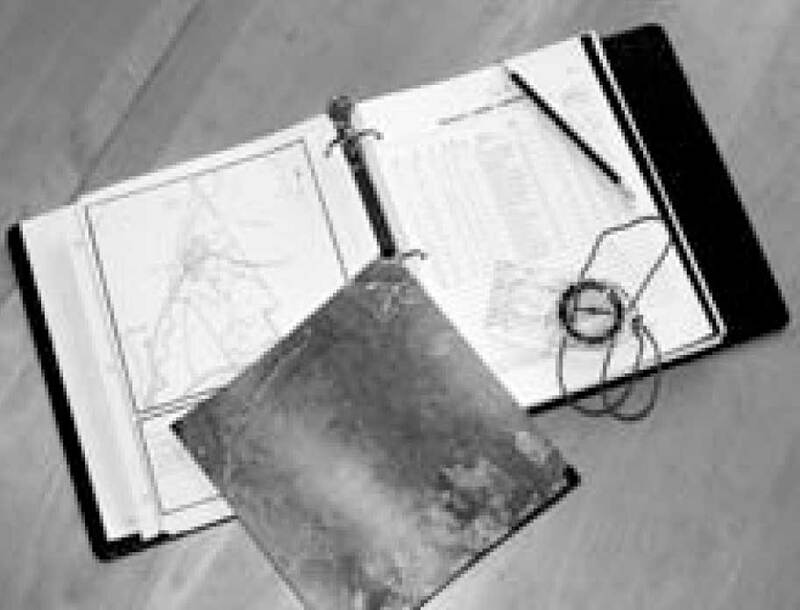 Woodlot management plans do not need to be complicated, but they should contain the minimum information that is essential for making decisions based on your goals and objectives. This chapter will outline those components. These were discussed in Chapter 1, and are in many ways the most important features of a woodlot plan. 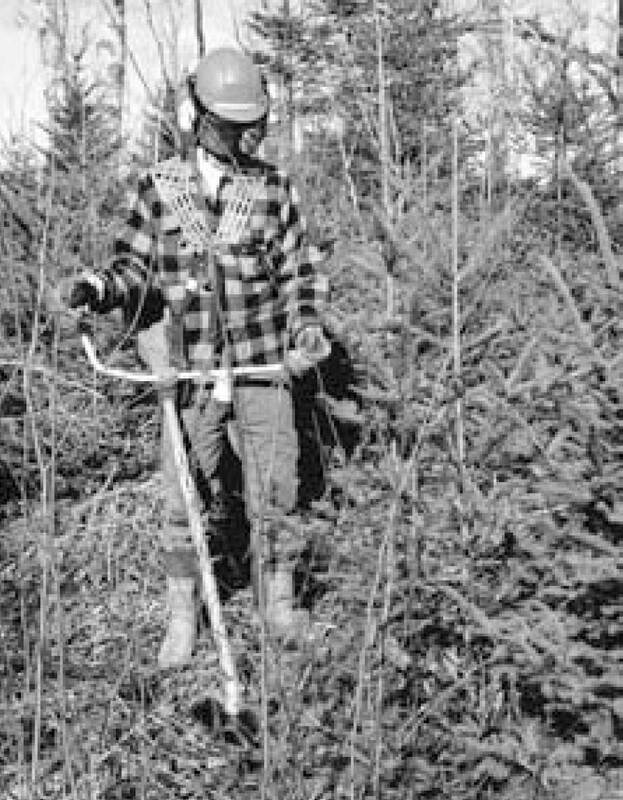 A woodlot owner’s goals and objectives should be outlined at the beginning of a plan, and the remainder of the plan should make reference to them. 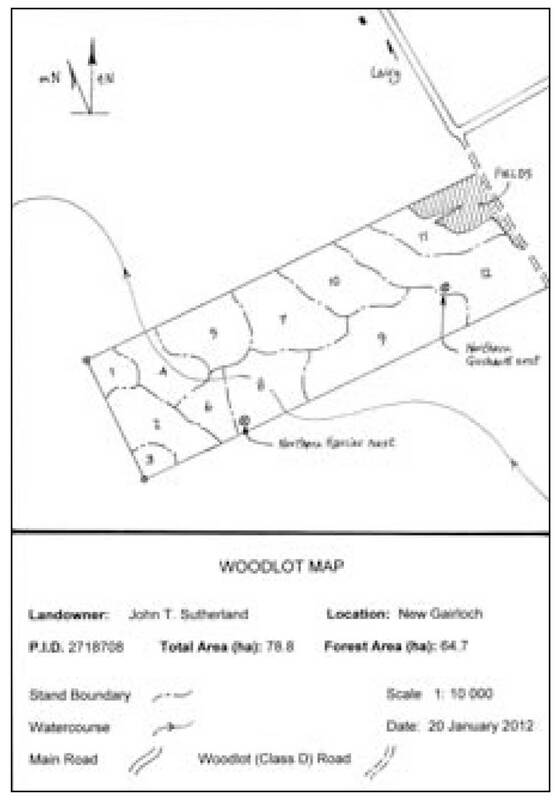 As a graphic reference, the woodlot map is perhaps the most frequently used tool in a woodlot plan. A well-detailed map will highlight areas of the woodlot that are recommended for treatment, and will indicate the locations of watercourses, roads, and boundary lines. Example of a woodlot map. Woodlot management plans contain descriptions of each stand, which may number from a few to more than a dozen. Stands can vary by tree species composition, average tree age and height, and ground conditions that can vary in moisture content and soil type. A stand description may also contain notes on wildlife habitat and the presence of any significant features such as relict trees and surface boulders. A stand is considered even-aged if the majority of trees in the stand are of similar age. If there are at least three age classes, the stand is uneven-aged. The age structure of a stand becomes very important when silviculture options are being considered. 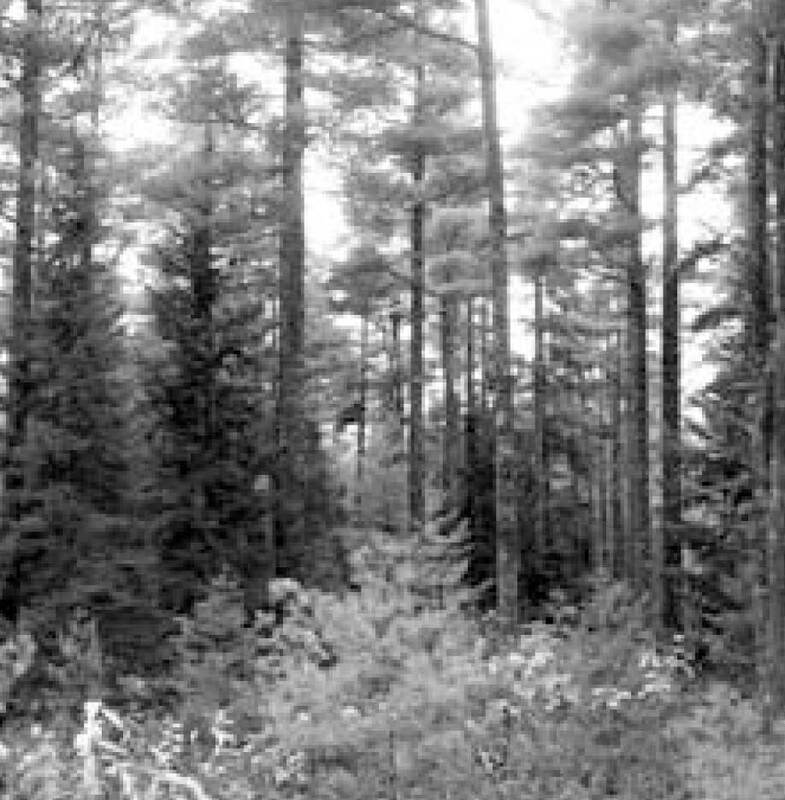 Dominant species in this stand are Red spruce, Yellow birch, Red maple, and Eastern hemlock. Other species occurring with less abundance are Balsam fir, White birch, and Ironwood. This site was partially harvested about 50 years ago and large residual hemlock trees are found throughout the area, some of which exhibit porcupine damage. These hemlocks average 120 years old. The Red spruce, Yellow birch, and Red maple are in good health and are 60 years of age. Much of the Balsam fir has deteriorated and is no longer merchantable. Patches of 20 year-old Red spruce, hemlock, and fir are distributed unevenly throughout the understory of the stand. Total basal area of the stand is 36 m2/ha. A woodlot owner can choose to manage a woodlot on an uneven-aged basis. An uneven-aged stand can yield volumes of wood at fairly short intervals (10-15 years) in perpetuity. Careful management will maintain continuous tree cover. There are many considerations when planning uneven-aged woodlot management. It is not suited to all locations: exposure to wind and the presence of imperfectly drained soils increases the risk of blow down to uneven-aged stands. Your forest professional will be able to give advice on whether this management option is right for your woodlot. It is important to remember that recommendations for your woodlot are only just that – recommendations. A forest professional collects the information that he or she needs to make reasonable recommendations of treatments that will enhance your woodlot to meet your objectives – whether it is for fiber production, wildlife habitat, human sanctuary or all of these. Forest professionals have an intimate knowledge of tree silvics, which are characteristics that define each tree species’ life history and growth patterns, including site preference, reproduction and physical form. The uneven-aged structure of this stand indicates that it may be suitable for selection management within the next five years. The objective would be reduce the basal area of the stand from 36 m2/ha to 25 m2/ha or less, by removing some trees from each age class. If appropriate markets exist, the poorest quality trees should be removed during this first entry, taking care to avoid creating large openings in the tree canopy. The removal of some of the largest hemlocks will create openings which should regenerate to Red spruce, hemlock and Yellow birch. Wood removal could be carried out during any season except spring, when sap flow may cause softwood and hardwood bark to become easily damaged. A small to medium-size harvesting processor and a medium-size forwarder could be used to complete this job. Because of the uneven ground, care should be used in selecting wood extraction trails. These trails could be used again during the second entry 15 years later. Patches of good quality regeneration greater than 2 m (6 ft) in height should be spaced to at least 2 m (6 ft) between stems. Hardwood regeneration should be more than 6 m (20 ft) in height before thinning. This will provide opportunity for the young trees to expand their crowns and increase growth. Silviculture funding assistance is currently available to facilitate the completion of this treatment. Partial harvesting helps to maintain uneven-aged stands. Roads are an integral part of good woodlot management, and every plan should have a well-described outline of access routes. Constructing or upgrading forest access roads can be expensive, but it can also be money well spent. Any harvesting activity will need areas to pile wood where logging trucks can reach it. Strict regulations govern the installation of culverts and bridges on forest roads. Even temporary structures require permits that ensure the proper construction and documentation of watercourse crossings. All watercourses should be marked on your woodlot map, and where there are crossings, properly sized culverts or bridges should be indicated. Woodlot management plans bring everything together for the landowner. This section of the management plan should demonstrate how the plan accomplishes meeting your objectives. If, for instance, you are interested in maintaining an uneven-aged management approach to your woodlot, the summary should describe how this may be possible. The summary should also recommend that the management plan be updated in five to ten years, depending on the degree and types of activities, and the goals of the woodlot owner. If you have long-range goals that may take 30 to 40 years to realize (a relatively short time in woodlot management! ), regular updates to your plan are essential. 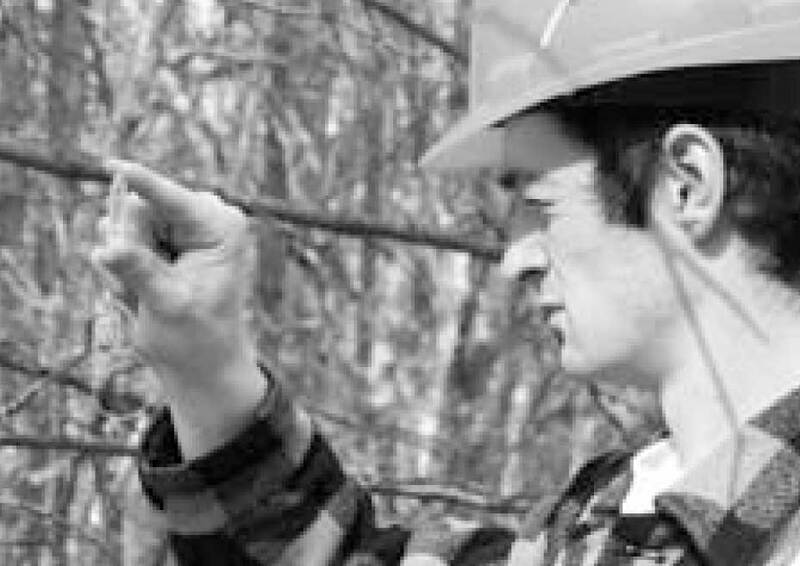 If you are able to consult with the same forest professional over time, your management objectives will probably be more consistent. Finally, do not be intimidated by the magnitude of your management plan. Forests are complex places, with diverse ecosystems, seasonal moods and special wildlife needs. The care with which your management plan is written will be reflected in your woodlot’s health, vitality, and in your enthusiasm to manage it well. Good planning leads to good decision-making and appropriate woodlot activities. 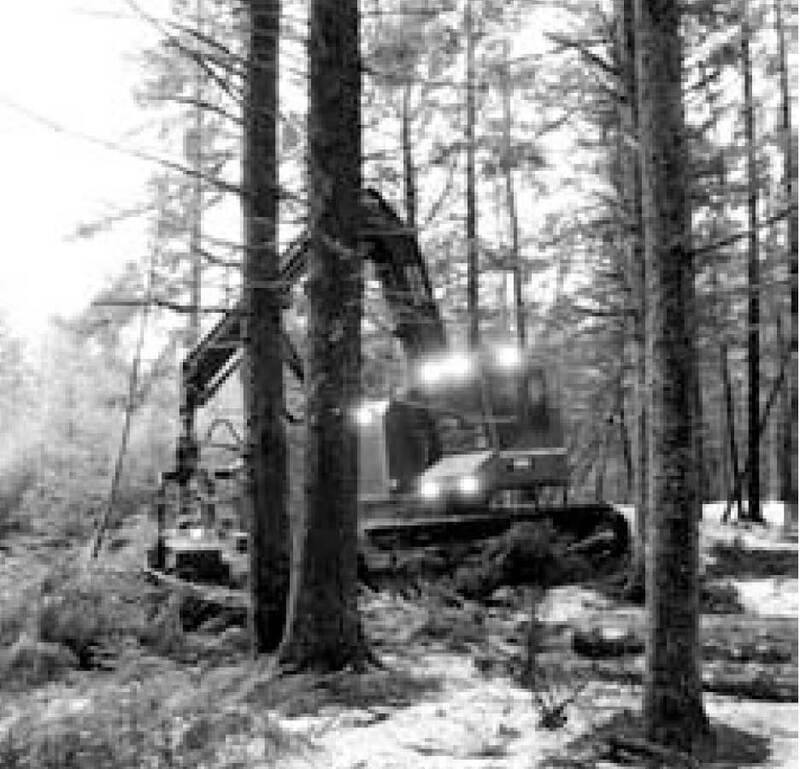 Over time, activities associated with your woodlot will begin to resemble the transactions of a small business. There may be revenue generated that will require tracking for income tax purposes, along with costs (including the management plan) that could serve as deductions. Like a business, your woodlot activities need a plan, similar to a business plan. Careful balancing will ensure that your goals – financial, environmental and personal – are met. A plan is only as good as the activity it promotes. If a woodlot management plan is difficult or impossible to implement, the expense and time that has been put into it will have been wasted. Good plans are practical and energizing. A well-constructed and progressive management plan should galvanize the woodlot owner to follow through with stand treatment recommendations and any other activities. There may be permits to obtain before crossing watercourses, and some wetlands may require special approaches or may need to be avoided entirely. Think of your woodlot as the special place that it is. Think of the millions of animals that live in the soil, the wildlife that depend upon your careful treatment of their habitat, and the water resources that need to be protected. Think of the opportunities that your woodlot presents for your family, your descendants, and the rest of society. Finally, think of the responsibility that you have in owning and managing a woodlot. You can adequately manage your woodlot through careful and appropriate activities. But the care with which your management plan is written will be reflected in your woodlot’s health, vitality and in your enthusiasm to manage it well.